Automation Server requires a database server for your processes repository. Oracle databases are supported for the database server configuration, as described at Oracle prerequisites. 1. Create a specific admin user to be used by Bizagi. 2. Install Oracle's connectivity client on the Bizagi server. This section details how to perform the second configuration task. 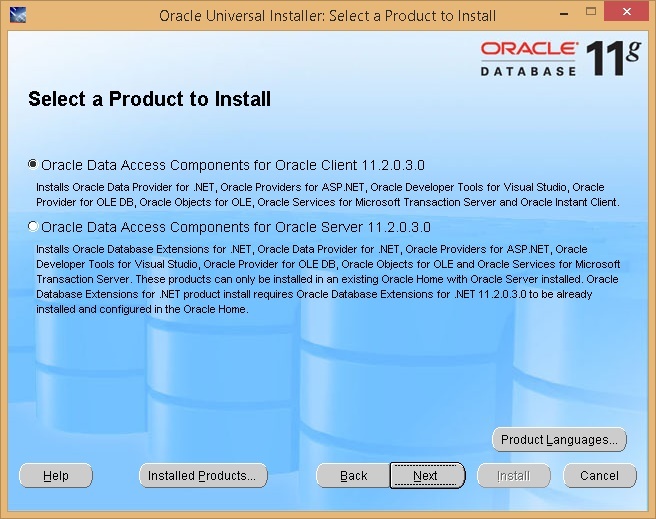 Automation Server relies on the Oracle Data Provider for the .NET connector to access an Oracle database, while running in a .NET platform. •The process repository is hosted in Oracle. •Your processes integrate one or more external Oracle data sources (by relying on the Data Virtualization or Data Replication Bizagi features). The connector is not needed at the database server but at the Bizagi server (where Automation Server is installed, both for its Work portal and Scheduler). 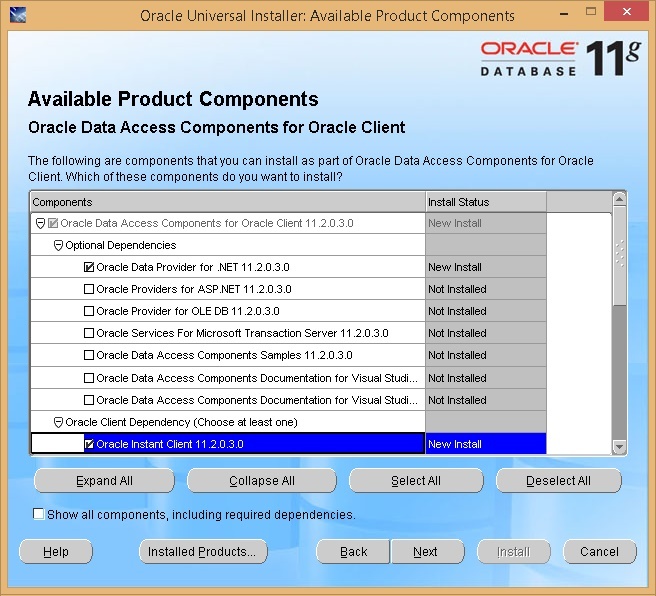 The Oracle Data Provider for .NET is installed through Oracle Data Access Components (ODAC). Bizagi requires the ODAC 11g release which ypu can download directly from Oracle's website. Click Install to complete the procedure. After you see a message that the installation is complete, you may close the installer. If you are using a Bizagi cluster or have the Scheduler service running on a different server, install this component on each server. •The database server does not require this component. •End users do not need to install this component on their workstations, as they access Bizagi Work Portal, which only requires a browser.